If you are looking for a fast, efficient and competitively priced Computer/Laptop repair service, Circuit City Computers is your best choice. Whether you have software or hardware problems, want to upgrade your computer/laptop or need to recover lost data, we are here to help you. 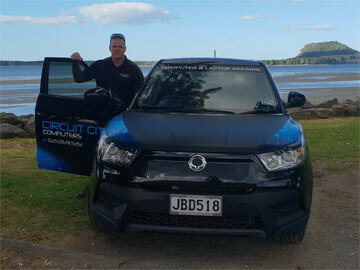 We have been providing homes and businesses throughout the Bay of Plenty with our quality service for over 6 years. We specialise in servicing all makes, models, and ages. Difficult repairs and niche jobs are no problem, although we are happy to help with any issues you may have. This is what we do. We know computers inside and out. Most importantly, we know how to treat our customers. We believe in offering a high standard of customer support. Our repair service is competitively priced and we guarantee a fast turnaround time, but this does not mean that we allow price considerations to affect the quality of our work. We specialise in custom built pcs, for Gaming, Business or for Home we can build something to fit your requirements. Using the very best quality components, we pride ourselves in offering excellent value for money. All systems are individually assembled and designed to be quiet, reliable, energy efficient and top performing. Often we are asked to help with buying a new computer. We are always happy to help, but in line with our customer service commitment we always seek to examine your machine and computer set up, because five times out of ten, the problem can be resolved by a simple system upgrade. Has your computer been plagued with viruses or spyware? Are you getting pop-ups while surfing the net? Does your internet browser take you to web pages you don’t know? Using the most up-to-date antivirus and anti-spyware utilities, we can scan your system, identify the problems, and remove them from your computer. We specialise in spyware and virus removal, and can remove even the nastiest of dangerous software - including the ones your antivirus software can’t! Over time Computers and Laptops can begin to run slow, making everyday tasks frustrating. You may be tempted to replace the unit with a newer model, but by simply sending it in for a health check or memory upgrade we can breathe a new lease of life into your machine. If the screen is cracked we can easily quote the replacement cost by using the model information found behind the screen. We research the best price that we can find for you on a replacement. If the screen is going dim then it may be just an inverter replacement needed. At Circuit City Computer Repairs and Service we charge a flat fee of $85 (remember your insurance provider should pay this fee, not you) to provide you with a first rate computer insurance claim report that provides all the necessary information that your insurer will need in order to be able to process your insurance claim. Want to replace your PC or Laptop, but want to spend less, then consider upgrading to an ex-lease system, they come in all sorts of configurations and specifications and we can price something to suit your needs, all systems carry warranty and are A grade condition unless stated otherwise, most brands are available including Apple MacBook Pro systems – All have Solid State Hard Drives for speed, and a minimum Intel i5 CPU and 8Gb of Memory, contact us for a quote today! Accidents happen but don’t panic; we can give you a full diagnosis of the damage, fix most incidents and provide a written quote for insurance purposes if necessary. What to do when you spill liquid on your laptop? Turn the machine off immediately. Using a dry cloth or paper towel try to remove as much fluid as possible. Do not turn your machine on until we have checked it for any damage.Upgrading your computer.